For most, the thought of one’s grandmother or grandfather cycling would be a terrifying one. Would they be stable? What if they fall down? CHCSA’s House of JOY has a completely different view on this. The Community Bike Program is its latest initiative, started in Mar 2017, to encourage the elderly to maintain an active lifestyle through cycling. 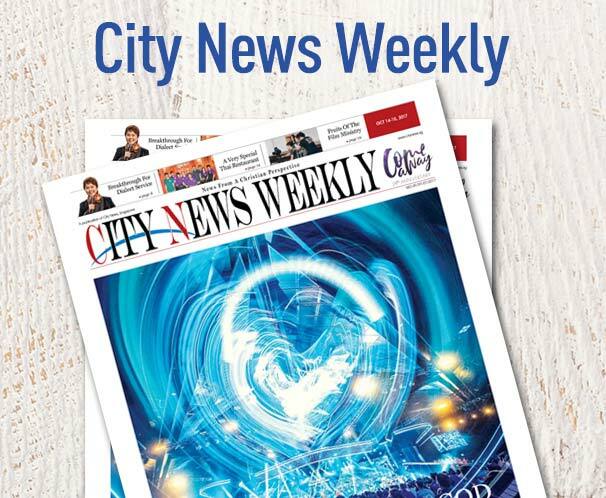 Herman Lim, a case worker with CHCSA, shared with City News that when the elderly mingle and connect with each other, it builds up their emotional and social resilience, and also gives them confidence that they are still physically fit to do exercise, even cycle. This program brings the elderly to various parks connectors to experience how parts of Singapore are connected together; they can see for themselves the development of Singapore that has taken place over the years. Prior to this, Lim organized two cycling events at the park connectors near to Pine Close: one from HOJ center to Garden by the Bay, and another one to the Singapore Flyer. The program started with four people and has grown to 11. The eldest participant is 77 years old. 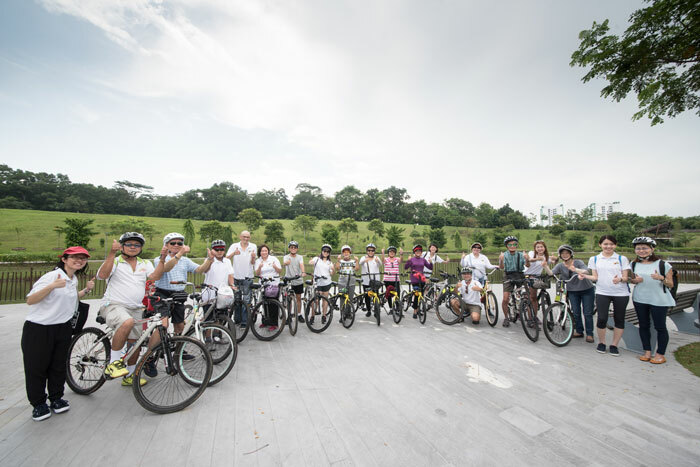 April 29 was the first time HOJ chartered a bus to take the elderly to the North-East part of Singapore for a completely new cycling experience. The Punggol Waterway Park is built around Punggol Waterway which was completed in 2011. The area has undergone major redevelopment to integrate the waterway and the lush greenery, making it a place where locals can relax and carry out leisure activities like jogging and cycling along the promenade at both side of the waterways. As many of the elderly cyclists had not been there before, HOJ decided to make a day of it. The 11 senior, together with 10 volunteers and one staff member of CHCSA participated in this event. 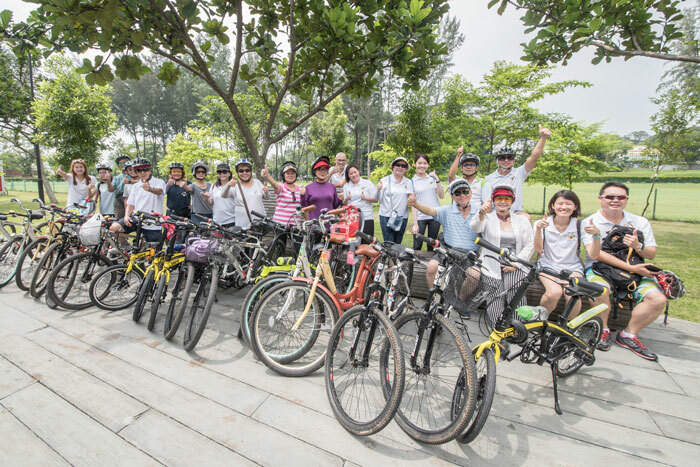 On their way to Punggol, the participants and volunteers put on their sun protection and their cycling helmets—they came in total preparedness for their cycling trip. Lim reminded them to put safety first, and ride at their own comfort level as this is “not a competition, there are no prizes for the first to reach”. He also taught them how to control the bicycle while cycling up and down the slope, safety precaution and cycling etiquette, and assured them that the volunteers would be there to help them if they needed assistance. The route took the senior from SAFRA Punggol, Punggol Waterpoint, to Marina Country Club and Punggol Jetty before heading back to SAFRA Punggol, covering a total distance of 12 km. The volunteers mingled with the elderly amiably, making sure everyone had caught up at the resting point and were all feeling good before moving to the next stop. They also took time to view the scenery and enjoyed the breeze at the jetty. The 90 minutes of cycling along the promenade ended with an ice cream treat for the elderly and the volunteers. Tang Poo Hong, 61, has been actively involved in various activities organized by House Of JOY, such as yoga and swimming but this was the first time she came to a cycling event. It had been a very long time since she last cycled and she had never been to Punggol Waterway before. “Although the cycling is tiring, especially up the slope, and we perspire a lot, but it is a good exercise. I don’t mind joining in for future cycling events,” she said. Soo Lay Kim, 67, a retiree, said that this was his second time cycling with HOJ. He usually cycles by himself one or twice a week. He complimented the volunteers, saying that they were “有爱心 (full of compassion)” to bring the seniors out. This was the first time that volunteers from HOJ participated in a cycling event. Daphne Chin, 26, shared that it was a fun experience, taking care and looking out for elderly participants’ safety. Elaine Wong, 32, felt it was good for the elderly to have a healthy active lifestyle. She was happy that they got to interact with the elderly too. 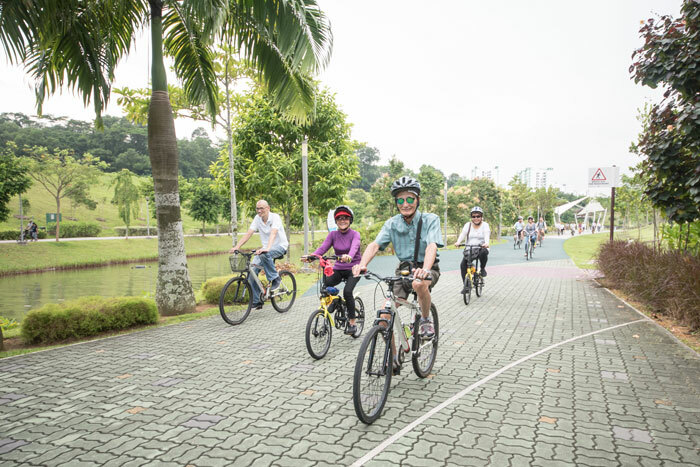 This Community Bike Program is organising cycling trips every month with to familiarize the elderly residents with cycling and to gradually build up their stamina for longer cycling trips. The ultimate aim is to complete a full loop from HOJ to Gardens by the Bay and the Singapore Flyer and back, and also to complete the full loop of the Punggol Waterway Park Connectors.